Women’s participation in hunting and the shooting sports is going up, according to new data from the National Sporting Goods Association. Between 2003 and 2008, the number of women hunting with firearms rose from 2.1 million to 2.9 million; women who bowhunt rose from 400,000 to 600,000; and women who target shoot increased from 4.1 million to 4.8 million. Guides and outfitters are seeing women as a growing market, and gun clubs seeking members are often shocked at how many women will sign up, if simply given some friendly instruction. There is now even a dedicated magazine just for lady hunters, Woman Hunter. These nationwide figures are consistent with the participation trends NRA has seen in its Women On Target program, which began in 1999. 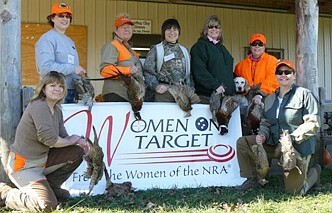 Women On Target conducts women-only hunts and instructional shooting clinics. Both provide a venue for experienced women hunters and shooters to mentor newcomers. While the mainstream media may be surprised that women have any interest in guns, the Women On Target program proves otherwise. The number of clubs running Women On Target shooting clinics rose 37% from 211 in 2007 to 289 in 2009. A total of 6,066 women attended those clinics in 2007, and there should nearly 8,000 by the end of 2009—a 32% increase. The program’s women-only hunts are growing steadily. Ten hunts are planned for 2010. Click here for 2010 hunt schedule. Editor’s Comment: Signing up more women members may be the single most important thing gun clubs can do to improve “public relations”. In mainstream media reports on firearms, the bias is too often negative. 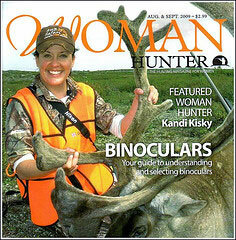 However, when women shooters/hunters are the focus of a media story, the overall slant is often very positive. The news media like stories about women who succeed in a male-dominated sport such as shooting. Moreover, women-only shooting events are usually shown to be fun and “empowering”, while women shooters are, more often than not, portrayed in a positive light. Share the post "More Women Hunters and Shooters, Surveys Reveal"